Prepare to get stung--wasp solitaire is here! 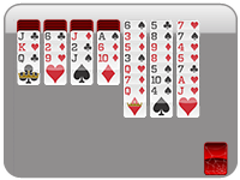 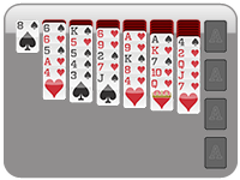 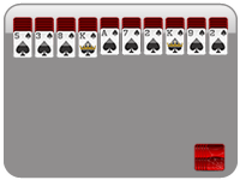 Wasp solitaire is a derivative of Spider Solitaire: the goal is to create 4 stacks of similarly suited cards from King to Ace. Since this version of wasp solitaire just uses one suit, it is the easiest--but don't let that fool you. This game is tough news. 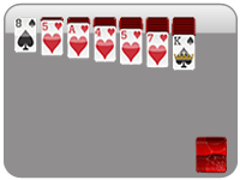 If you manage to beat it, you're a Solitaire Card Games Masters. 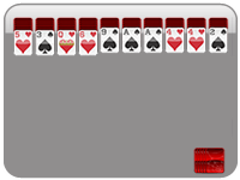 Since you can move any card in a stack of cards (unlike spider solitaire, none of them become inactive, or "gray"), a good strategy is to first create an "open" space on the table. 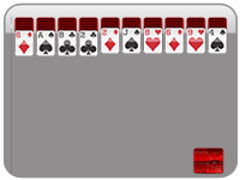 Once you have an empty column, the game becomes much more flexible.